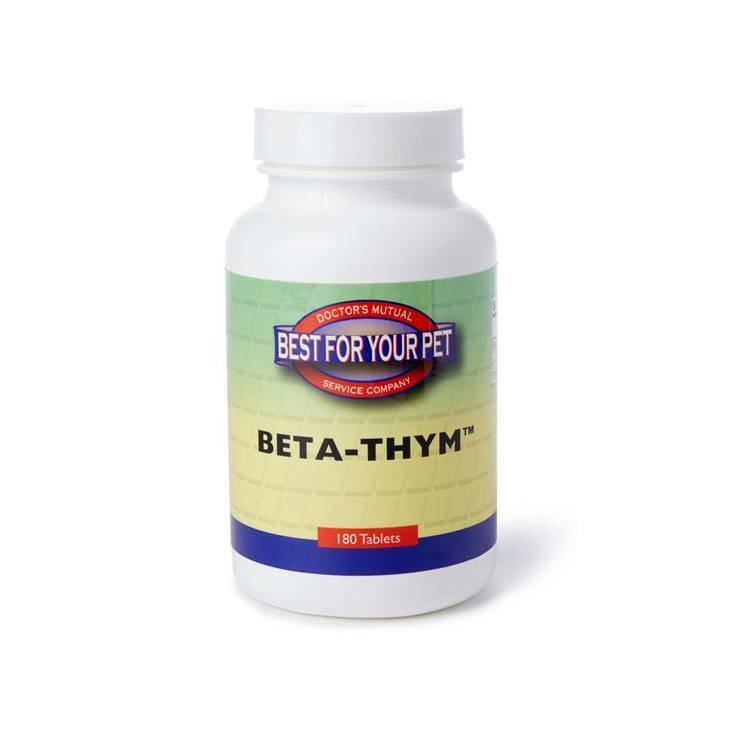 Because we're always looking for new supplements to add to our arsenal, while Viki was doing research about cancer supplementation she happened to stumble upon Best For Your Pets and their amazing product line - in particular, Beta-Thym, a potent anti-inflammatory. Both Melissa & our lovely customer Genevieve have tried it on their respective cats: Melissa's cat, Hooligan, suffers from severe allergies and gets horrible rashes above his eyes that take forever to heal, and Genevieve's cat also suffers from food allergies and attacks her ears. This stuff is beyond wonderful. Within mere days of using Beta-Thym, Hooligan's rashes started healing and were noticeably less inflamed and red, and Genevieve's cat whose ears were always itchy and raw no matter what isolated protein she ate, suddenly stopped clawing at her ears - the inflammation had all but disappeared. As a test, Genevieve stopped giving Beta-Thym for 2 days (she went right back to clawing) but as soon as she started again, it stopped - the change was pretty astonishing. Viki is also regularly using it for her cat who has mammary cancer. "It’s a natural plant sterol containing thymus gland and the amino acid L-ornithine. It acts as a strong anti-inflammatory. The base formula of Beta-Thym™ was originally used as a cholesterol-lowering agent in the late 1950s by Merck and Company, beta-sitosterol soon found itself a following among those seeking a starting point for synthetic chemical steroids like cortisone. Added to our formulation in the early 1980s, thymus extract and natural amino acid L-ornithine dramatically increased the effectiveness of this potent natural supplement. Many returning customers attent to its ability to naturally curb inflammation (chronic itch,hot spots, arthritis, etc.) without the side-effects of steroids drugs or prescription animal NSAID's."